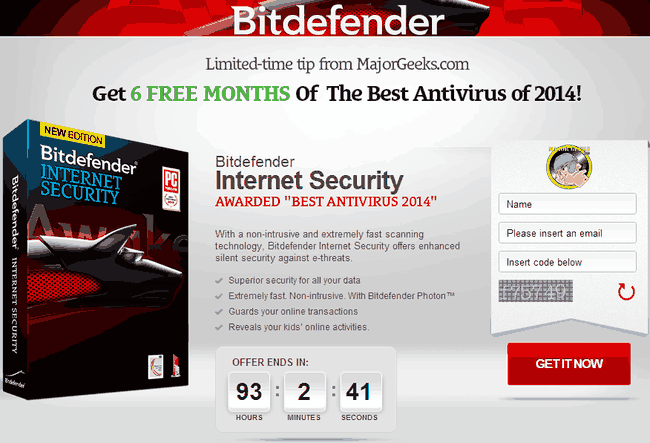 We already posted a free giveaway that offered Bitdefender Internet Security 2014 for 9 months for free. But that giveaway expired very soon and the security company is back again with the same giveaway but the free license now is valid for 6 months only. Read on to find out how you can get Bitdefender Internet Security 2014 for 180 days for free. This giveaway expires on April 12, 2014 at midnight. Go to the offer page on the official Bitdefender website. Fill the form on the web page with your name, email address and the word verification. Make sure you type the correct email address, the 6 months license key and the download link will be sent to this email address. Once filled, press the “GET IT NOW” button. Now check your inbox and you will find an email from Bitdefender. 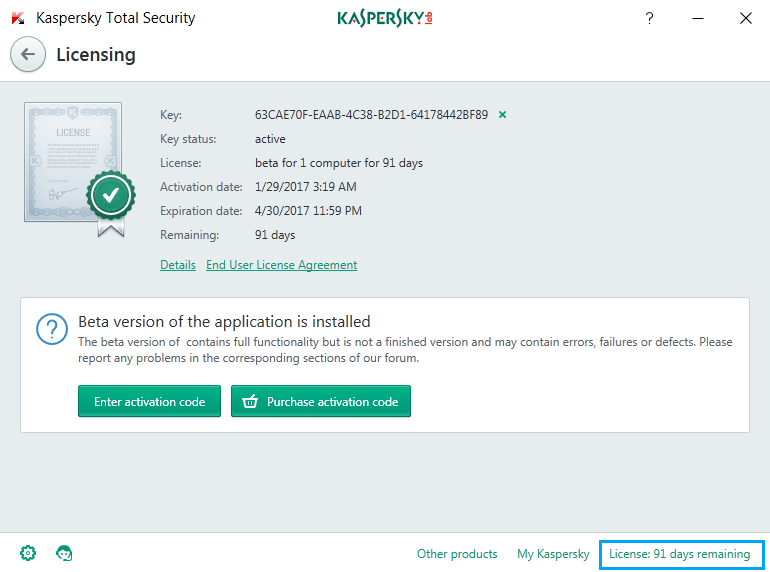 The email will have a 6 months license key for Bitdefender Internet Security and also the link from where you can download the product. You can also follow this link to download the application, you will need to perform the earlier steps to get the license keys though. Almost every good antivirus company hosts this kind of giveaway every now and then. Do sign up for our newsletter to know whenever a new offer comes in. I NEED ANTIVIRUS FOR MY DESKTOP .